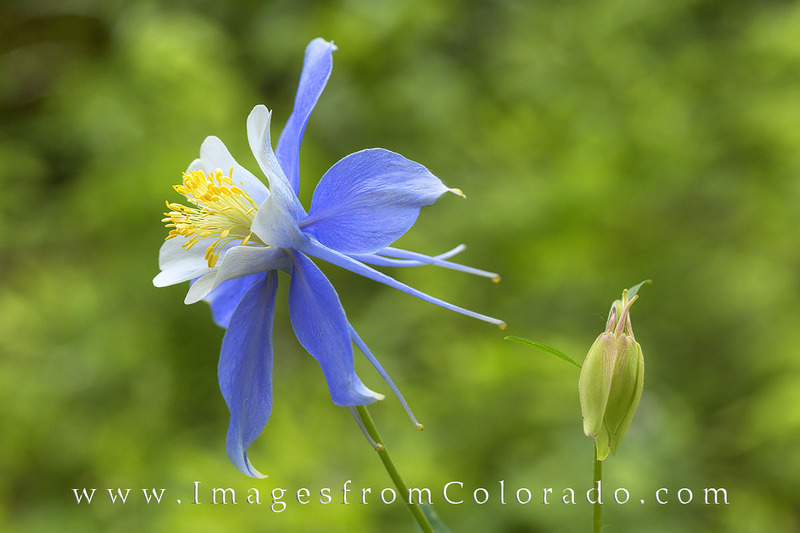 The columbine is Colorado's state wildflower. Here, two blooms play hide and seek on a cool summer morning in the Rocky Mountains. Photo © copyright by Rob Greebon.